Hawaii was successful early Thursday morning in getting a federal judge to loosen the Trump Administration’s travel ban. The ruling also affected refugees. 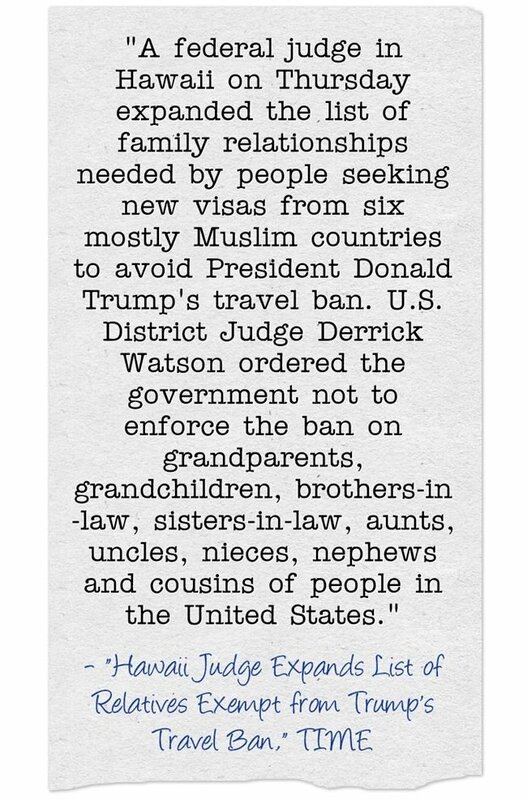 See Vox’s article, Trump can’t keep grandparents and refugees out of the country, court says.